The Blue Jays' World Series dream is over for this year, but what a year it was for fans across Canada who watched the team transform into a true powerhouse. The Blue Jays' World Series dream is over for this year, but what a year it was. Fans who followed the team watched as the Blue Jays morphed from a good, but middling team in July to an absolute powerhouse in September and October. The excitement surrounding the team's first trip to the playoffs since 1993 — which spread all across Canada — gripped Toronto and seemed to fuel the players, as well. In the end, the Blue Jays could have won Game 6 against the Kansas City Royals and had a remarkable run just to get this far. "I felt like we had a great team. 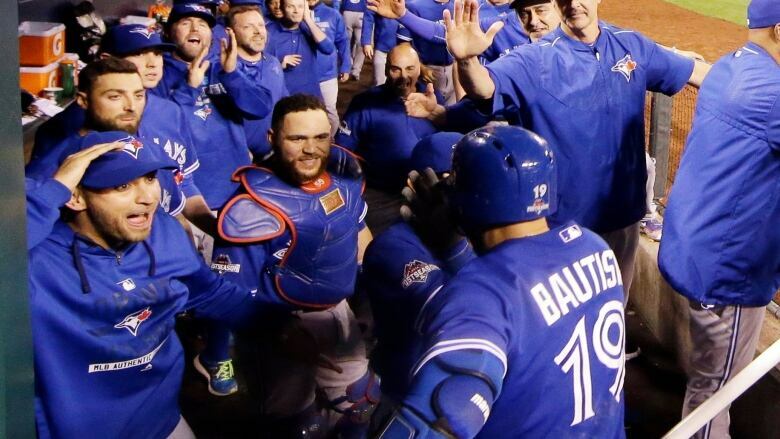 We had a complete team," catcher Russell Martin told reporters after his first year as a Blue Jay came to a close. "It was a magical season," said R.A. Dickey. "I think we learned a lot about ourselves and about our team," said Josh Donaldson. In Game 6, Jose Bautista gave another heroic performance with two massive home runs, one to tie the game as hope for a comeback was fading. David Price pitched well enough to win. Ben Revere put everything on the line to reel in a spectacular catch. Donaldson — who may still win the American League's Most Valuable Player award — had a chance to put his team up in the ninth inning. In the end, the Blue Jays fell short. The Jays had won four straight games when facing elimination and had plenty of chances to keep their streak alive — but that remarkable run that started in Texas had to end. Blue Jays fans may want to blame the loss on that Mike Moustakas home run, which only cleared the outfield fence thanks to a fan's glove. They might blame the umpires, who seemed tough on the Jays throughout the postseason and who clearly blew at least one call in the final frame. Or they might even want to blame Fox, the broadcaster who partway through the telecast told viewers that they could watch the Royals play the New York Mets in Game 1 of the World Series next Tuesday. Those same fans wouldn't have minded if those calls went the Jays' way. The battle for the American League came down to one inning and the Royals found a way to win. Who knew the Jays would be this good? 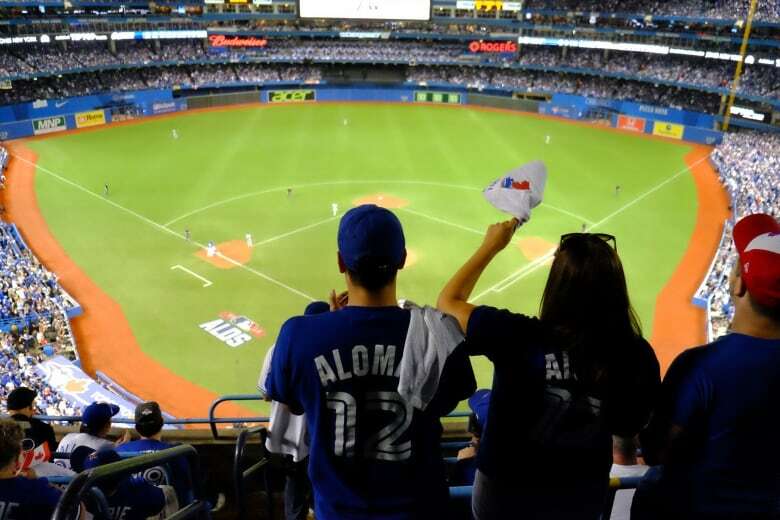 Blue Jays fans packed the Rogers Centre for the playoffs and much of the end of the regular season, too. (John Rieti/CBC)Regardless of the outcome, this has been a season of discovery for the Blue Jays. The best part about this ball club is that there's plenty more to find out. 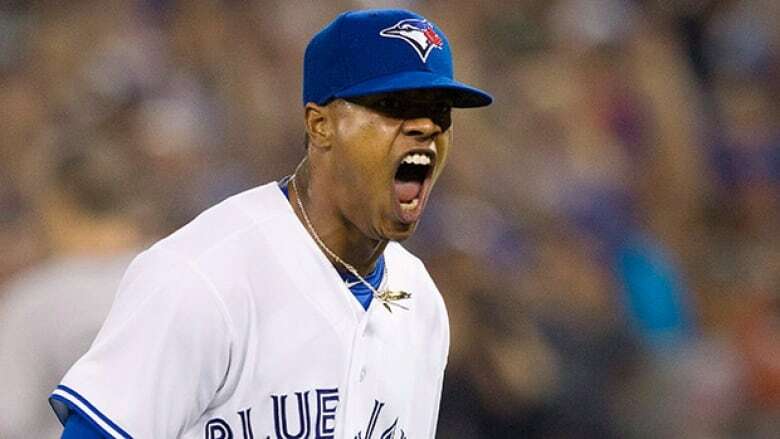 How good can Marcus Stroman get? You'll have to wait until next season to find out. (Canadian Press)Marcus Stroman, who would have started a potential Game 7 for the Blue Jays, was undefeated after coming back from what many believed was season-ending knee surgery. For him, the sky's the limit. Closer Roberto Osuna will take the loss in Game 6. But the 20-year-old closer who performs like he has ice for blood will be fun to watch for years to come. And fans will also get a full season of Troy Tulowitzki at shortstop. The exciting Devon Travis should return to the lineup. And young players like Ben Revere, Ryan Goins and Chris Colabello will continue to evolve as well. But first, those agonizing winter months when baseball switches to business-mode, instead of the beautiful game that it is. When favourite players (and yes, managers) could leave the club or be traded. And of course, at least several weeks worth of second-guessing every strategy employed during the Blue Jays playoff run. Thanks for the season, Toronto Blue Jays. See you in spring training.